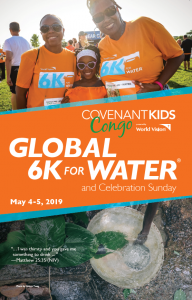 Save the date of May 4-5, 2019 for the Global 6K and Celebration Sunday! 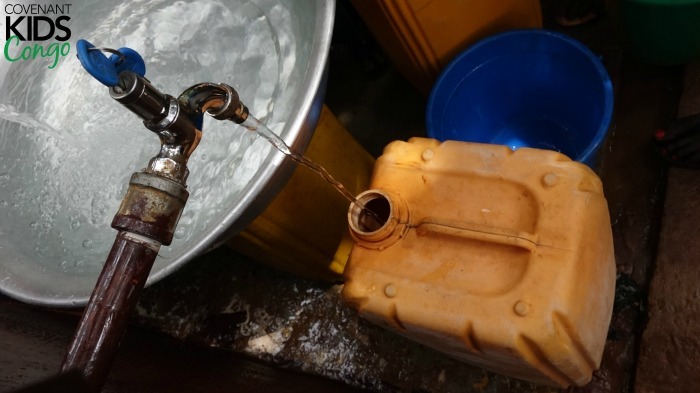 6K is the average distance a person in the majority world walks for water. 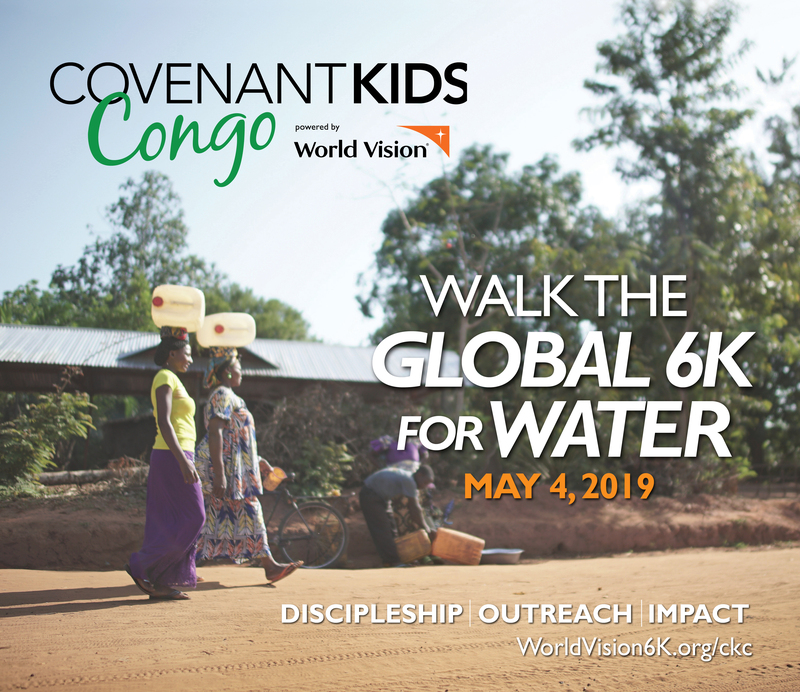 On May 4, walk the Global 6K in your church’s neighborhood for clean water in northwest DR Congo. 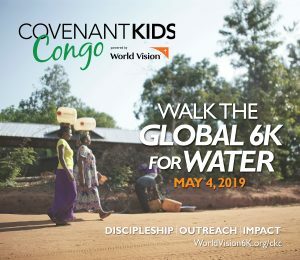 The next day, give your church the chance to sponsor children through CKC with a Celebration Sunday on May 5. Learn more about how to host the Global 6K here. 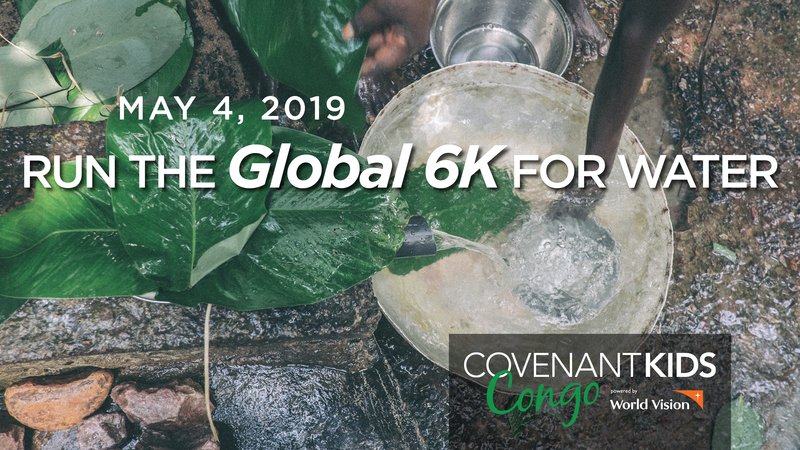 You can register to host the 2019 Global 6K at your church today! Sign up at WorldVision6K.org/ckc. 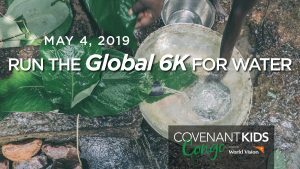 Join us in praying for our sisters and brothers in Congo for the six weeks leading up to the 6K, or during Lent! This guide is your church community’s companion as you prepare physically and spiritually for your race. You can use it on your own, with your small group, with your walking or running team, or with your whole church. 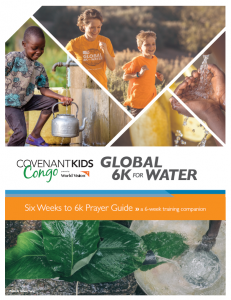 Download the CKC 6K Prayer Guide here or order print copies at CovBooks.com. Launch Kit – After you register, look for your Global 6K launch kit in the mail, complete with a large poster, CKC postcards and small posters, and the Church Planning Guide. Individual participants will receive a Global 6K T-shirt and a CKC 6K race bib in the mail after they register. 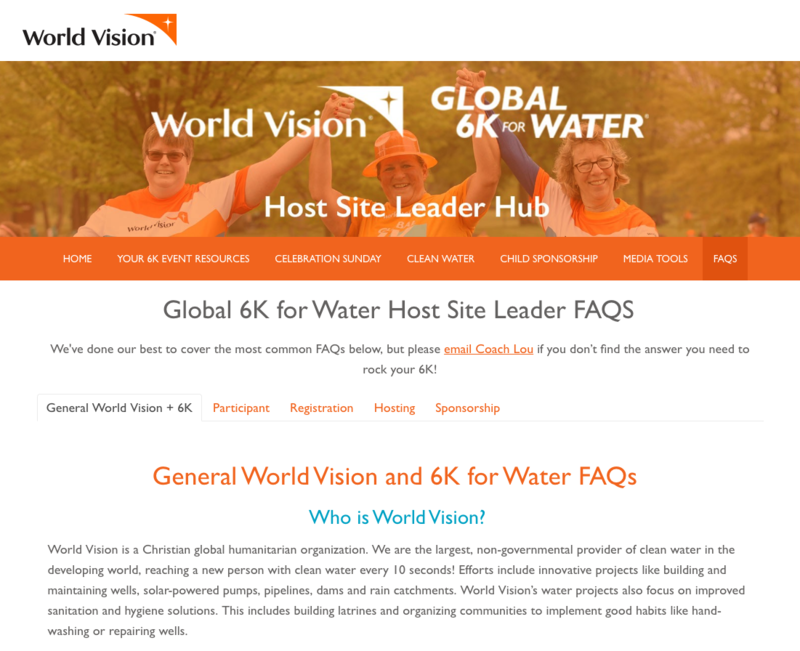 World Vision 6K Resources – Visit hub.worldvision6k.org to explore more World Vision resources for your 6K, like the Church Planning Guide. 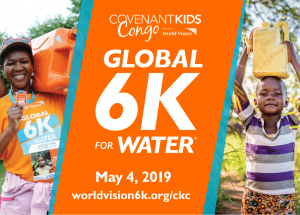 CKC 6K Videos – Share the following videos with your church! All of these videos are available for download from Vimeo. Walk with your CKC sponsored child by filling out this extra DIY bib. You can print it and pin it to the back of your shirt on race day! Want to go even farther? 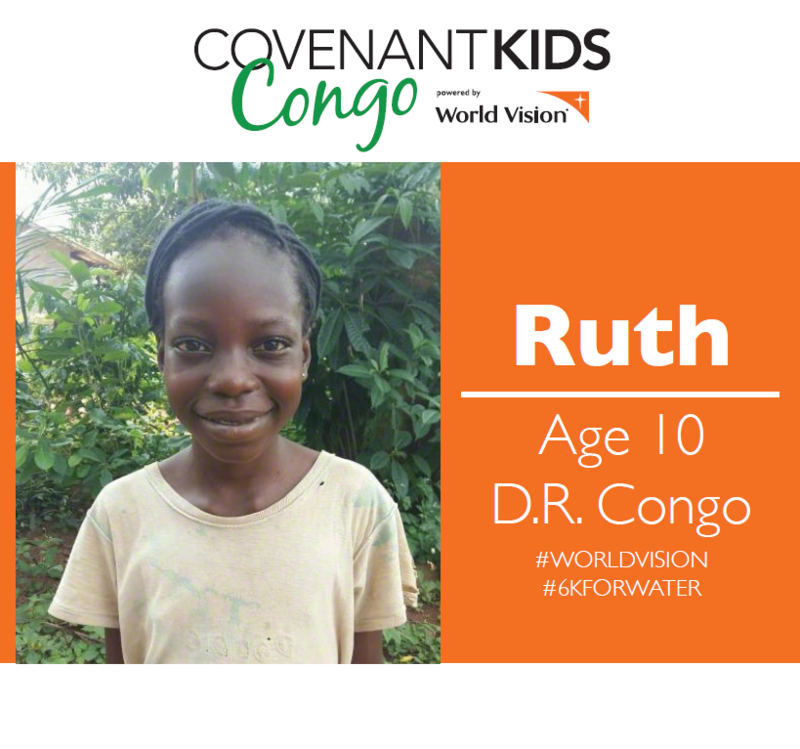 Run an endurance race for Covenant Kids Congo through Team World Vision! Follow the steps below. Go to TeamWorldVision.org and search for events in your area. Sign up for a race. Follow the Team World Vision training plan to prepare for your race, and check out the fundraising tips. If there isn’t an event listed in your area, you can sign up for a DIY race. 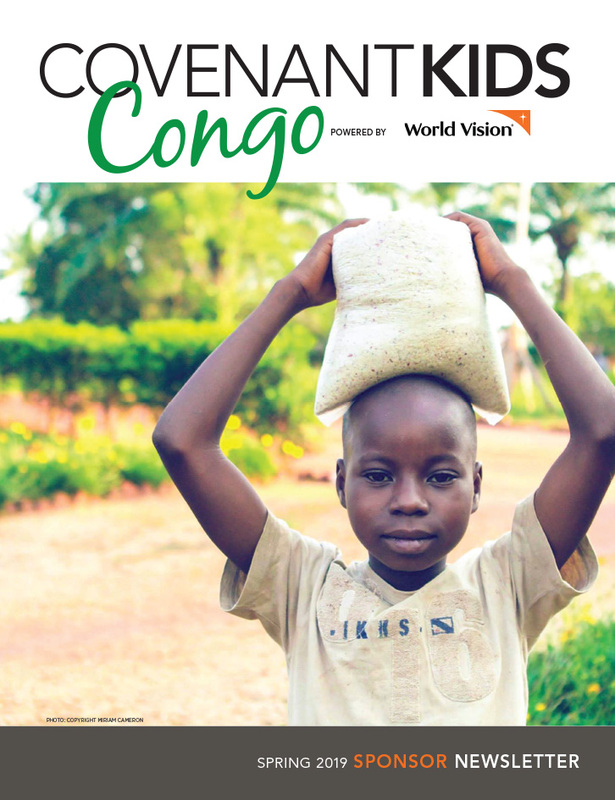 Email CKC at CovenantKidsCongo@covchurch.org to ensure that your fundraising is designated for Congo. If you’re signing up with your church, only your church team needs to contact CKC. (It also helps to put “Covenant” or “CKC” in your team name so we can easily find you.) If you’re signing up as an individual on your own, please email us so we can make sure to count you for CKC! Regardless of where you go next, keep praying for our sisters and brothers in Congo. Merci mingi – thank you very much!